Organizing an outdoor event that involves skateboarders, inline skaters, and other extreme sports enthusiasts? You should include custom camper hats & caps Union Made in USA in your giveaways. You can make yours look extra cool by having them customized at Unionwear. Choose from different styles, sizes, materials, and colors to create the perfect camper hat design! Custom camper hats & caps that are 100% Union Made in USA can be used to not only target the youthful crowd. These caps are also appealing to older adults who appreciate or are into streetwear. You can customize these caps as limited-edition items for your event or items that rep your lifestyle brand. The possibilities are endless. 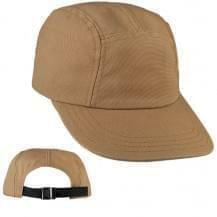 Great deals for custom camper hats & caps are available at Unionwear. We are a fair labor manufacturer and we produce 100% USA-made hats and caps that can be embroidered and be bought at great pricing.